Everyone wants to get the most money for their home. In fact, most sellers are hoping to make a bit more than their home is worth to prove their investment was wise. However, you cannot just list your home and hope for the best. Selling your home for the top price requires some effort on your part along with some effort from a real estate agent. You should find a real estate agent you click with and then work together as partners to build up the value of your home. More on that later. For now, the focus should be on how you can prepare your home to make it attractive to buyers. There are a lot of things within your power that will make your home shine, so that the offers start rolling in fast and high. While your home may feel cozy and lived in to you, it will look cluttered and unorganized to buyers. You want your home to look crisp, clean, and open to buyers which will require a bit of work on your part. Scrub every surface until it sparkles. We can’t emphasize this enough! You need to clean your home and keep it clean during showings. Apply a fresh coat of paint. Paint is relatively cheap considering the impact it has on making a home look fresh and inviting. Avoid trendy colors and stick to basics for mass appeal. Pay a pro to deep clean rugs and carpets. Minimize clutter to maximize space. Now that your home is clean, you can start to stage it. Choose neutral colors and depersonalize it as much as possible. You want your home to appeal to any type of buyer, which means removing signs of your family life. Take down photos and replace it with coffee house art. Clean out your closets by storing clothing you don’t wear on a regular basis and any miscellaneous items. This creates the illusion of a spacious closet. A lot of people are so focused on the inside of their home, that they forget about the outside. The front of your home is the first thing people will see, so you want to make sure to make a strong first impression. Many potential buyers drive by homes before scheduling to see them, so make sure you are piquing their interest. Declutter your front porch and clean it thoroughly. Add some planters to decorate the entryway and consider grassing your yard if necessary. If you have a deck in the back, make sure to pressure wash it and dress it up with some plants. When cleaning your home, remember that it needs to look good and photograph well. Professional photos are necessary to make a home shine online. Almost all home buyers now search for potential homes online before contacting a real estate agent. Thus, you need to cater to this audience if you want to successfully reach motivated buyers. If you have an agent they can help coordinate photos, but if you don’t you will want to hire a professional to help stage your home properly for photos. Clean and then clean again. Your home has to be clean and tidy. This is nonnegotiable. Pick up toys or pet stuff. You may find your puppies and baby clutter endearing, but prospective buyers will not. Clean up or store anything that creates clutter in the house. Grab a few extra green plants or colorful pillows to help bring some life into a room. Clear off counters. Take everything off your kitchen counter to create the illusion of more space. Do the same in the bathroom and remove all personal items. Add some light. Bright rooms always look more spacious and dramatically more appealing. Open your blinds, tie back curtains, and let the sun in! First impressions mean a lot to buyers, even if they may seem small to you. Sometimes updating your home just a bit can help you get twice as much back in your final selling price. Simple remodels that have proven to help sell homes include replacing your front entry door and garage door, and minor kitchen remodels. The appearance of the kitchen plays a large role in many homebuyers’ final decisions, so make your kitchen look appealing. You don’t need to gut your kitchen and start over, and likely will not really see a return on your efforts if you do. However, you can reface your cabinets and countertops and consider replacing older appliances so that the kitchen appears shiny and modern. The result of your effort will likely be more attracted buyers, and a higher final selling price. Everyone wants a bidding war, but when selling your home, it is not always wise to just grab the highest bid. Most people today require a mortgage to secure a home loan, which means that your home will need appraised by their bank. If the appraisal comes up lower than the bid, the deal will be off unless you drop the price or the buyer has extra cash on the side. Usually this doesn’t happen however, and the sale falls through. This is where working with a seasoned agent can come in handy, because they can offer you guidance on which bid will likely make it through closing. A high bid will not help if it stalls your sale and potentially makes other buyers lose interest. Everyone loves to save money, so the idea of selling your home on your own can be appealing. However, it is hard work and you will never be able to reach as many potential buyers as a real estate agent can. Therefore, if you want to sell your home quickly and at a high price, it is best to consider working with an agent. 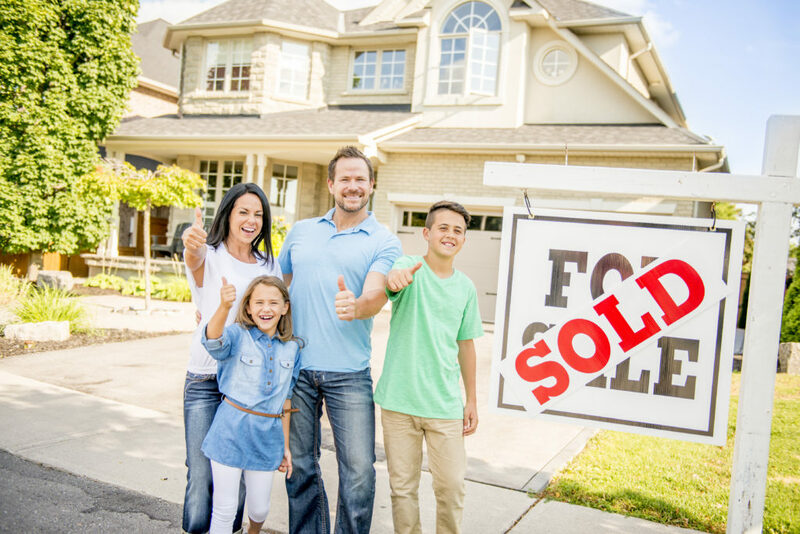 Remember, if they are able to help you sell your home at a higher price, you will end up making more than you would on your own even after their commission. If you still have doubts, think about this simple fact. The latest National Association of Realtors data shows that the average home sold by an agent last year fetched $235,000. In contrast, the average owner sold home went for $185,000. That’s a $50,000 difference! A great agent can help you get the most money for your home!